The Kumbalgarh Fort (Castle of Khumba) in India, is the second most important fort in Rajasthan after the Chittorgarh Fort, both in Mewar. The impregnable fortress, nestled in the hills of the Aravali Range in the Rajsamand district, was built by Maharana Rana Khumbha in the 15th century. 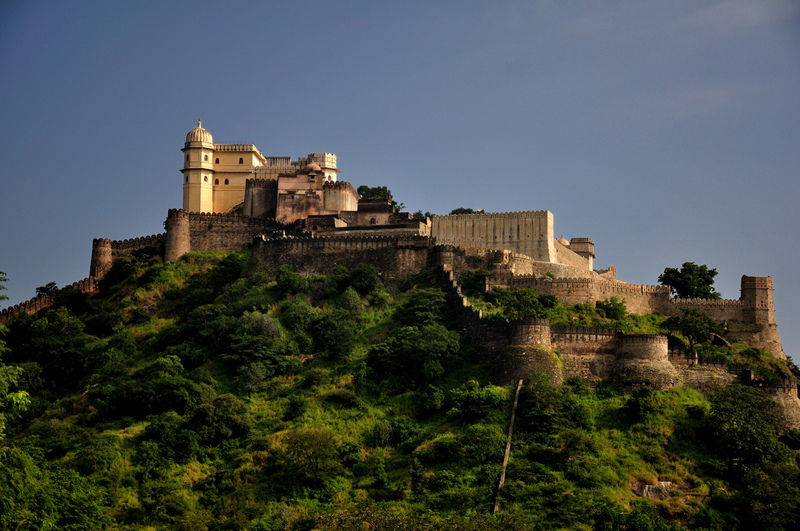 Of the 84 fortresses that defended Mewar at the time, the Kumbalgarh Fort was one of the 32 forts built by Rana Kumbha in the kingdom that ruled between 1433 and 1468. The fact that it has withstood well against the elements for almost six centuries, speaks for the quality of the construction of the fortress. King Samprati, the great grandson of Emperor Chandragupta Maurya, and the grandson of Ashoka the Great, inherited one half of his grandfather’s immense empire and ruled from 224 BCE. Though not much is known of his political acumen of any military exploits and invasions by others, he is recognized for his contribution to the propagation of Jainism in West and South India. The 300 Jain temples of the 360 temples in the Kumbalgarh Fort are a legacy of his efforts. He also initiated the construction of the Palitana Temples in Rajasthan. King Samprati died in 190 BCE. 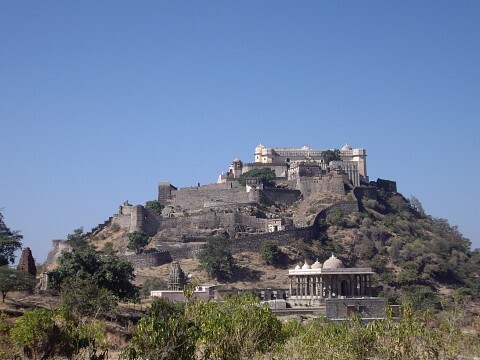 The Maharana of Kumbalgarh, Rana Kumbha, started constructing the fort, as it is seen today, in 1443, immediately after being crowned the ruler of Mewar. The construction of the fort took fifteen years and it was continually enlarged and renovated until well into the 19th century. The great fortress has a frontal defensive wall which varies in width from 15 feet to 25 feet and runs for 22 miles along the mountains of the Aravali Range. Though it is not widely known, the wall of the fort is the second longest wall in the world after the Great Wall of China. It is said that eight horses can stand abreast on the top of the walls. 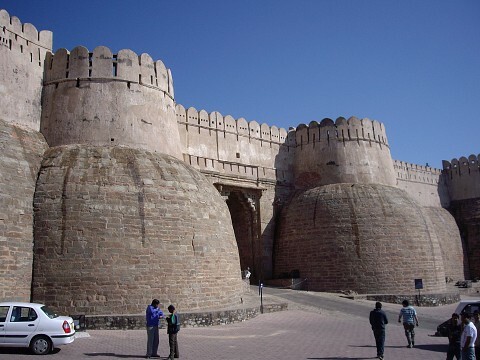 For the duration of the construction, the Maharana was continually frustrated during his initial efforts to build the walls of the fort because they would collapse immediately after they were built. He approached an enlightened soul for advice. The sage told the Maharana that a man would have to volunteer to sacrifice his life before the construction could be successful. A temple was to be built where the beheaded man’s head fell and the main gate was constructed where his headless body lay. A volunteer did come forward and was ritually sacrificed. The main gate of the fortress, Hanuman Pol, has a shrine and a temple to commemorate the immense sacrifice. Located on the banks of the Banas River and 3,609 feet high into the mountains of the Aravali Range, the thick walls of the fort are undulating due to the terrain and fold into one another. As one approaches the fort, Arait Polis, the first massive gate that one sees with watch towers. Hulla Pol, Hanuman Pol, Ram Pol, Bhairava Pol, Paghra Pol, Top-khana Pol, and Nimboo Pol in that order, are the other six gates with Hunuman Pol being the main entrance. It is said that the Maharana used to burn 50 kilograms of ghee in the lanterns on the fortifications in order to provide light for the farmers in the valleys below. At the highest point within the fortress is the impressive Badal Mahal (Palace of the Clouds) built by Ranaa Fateh Singh in the 19th century. 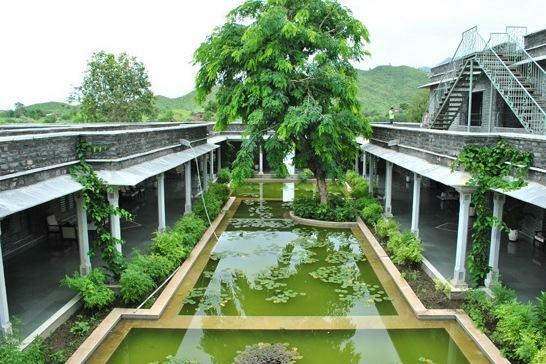 In contrast to the rustic appearance of the fort, the palace with its turquoise, green, and white colors, stands out. 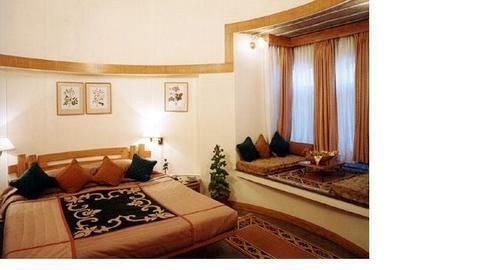 The palace is divided into two distinct living quarters. 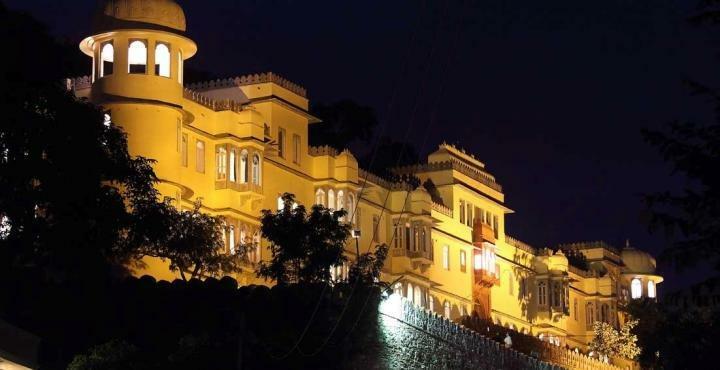 Much like Maharana Kumbha’s palace at Chittorgarh, the quarters called Zanana Palace was occupied by the womenfolk of the palace. Rooms built with stone and latticed windows allowed the royal ladies to view the proceedings of the court without being seen themselves. 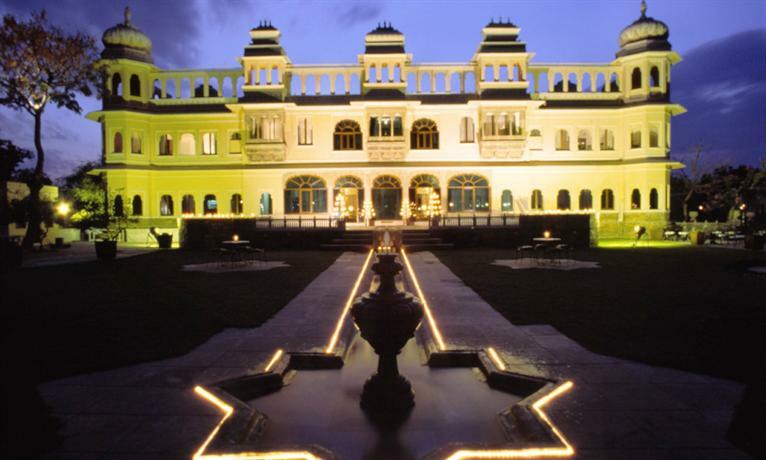 The Mardana Palace was the domain of the males of the Royal Family. 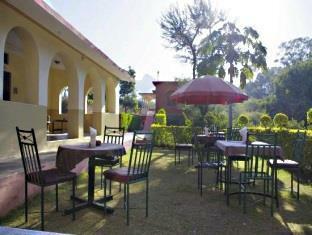 From the terrace of the palace, one can see miles into the Aravali Hills and also get a good view of the Thar Desert. Of the 360 temples built over 22 centuries, 300 are dedicated to saints of Jainism and 60 to Hindu deities. The Shiva Temple is the most impressive of them all. 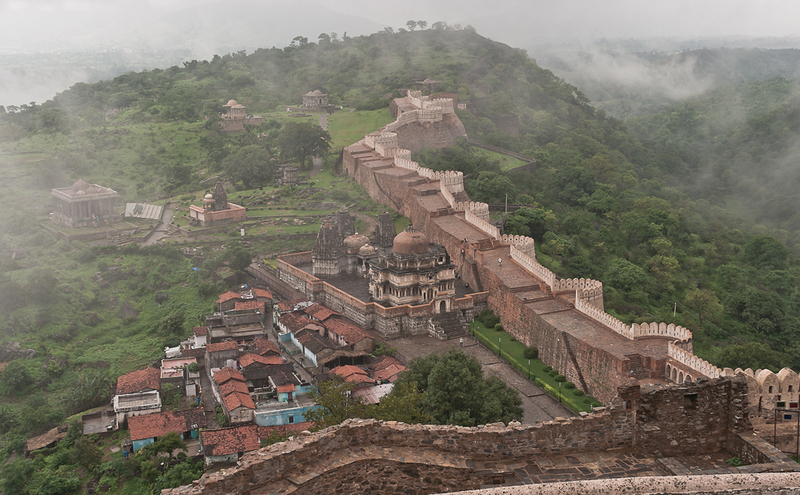 The fort, surrounded by 13 mountain peaks of the Aravali Range, is considered one of the most impregnable fortresses in India. It was captured once. But to the might of the four greatest armies of the time, those of Moghul Emperor Akbar, Raja Udai Sing of Mewra, the Sultan of Gujarat, and Raja Man Singh of Amber. The siege laid by the three armies deprived the fortress of water and had to be surrendered. 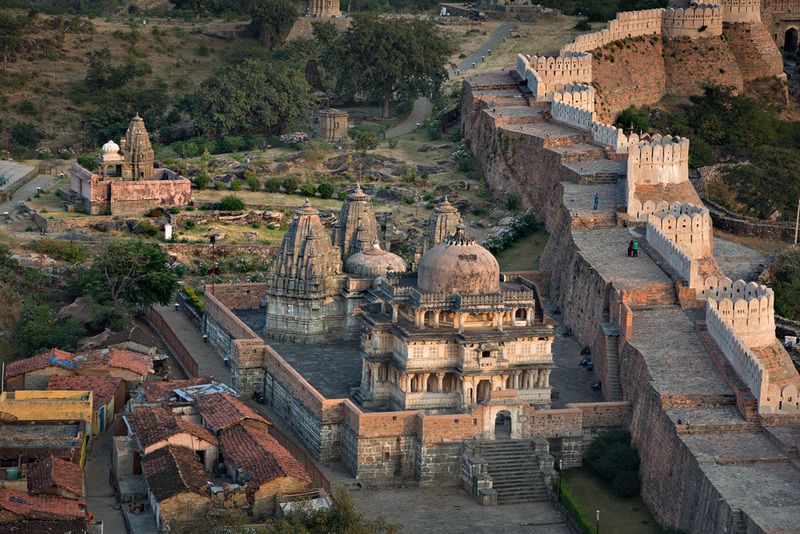 The fortress served as a refuge for the Rajput Royals in times of distress. 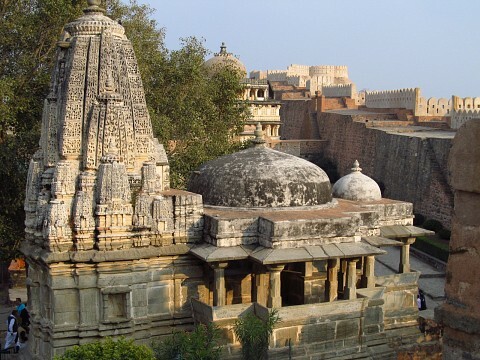 Prince Udai Singh was smuggled into the fort from Chittorgarh in 1537, to avoid being killed by his uncle who killed the Prince’s father and usurped the throne. Maharana Pratap, considered by the Rajput community as one of the bravest warriors ever, was born in the fort in 1540. 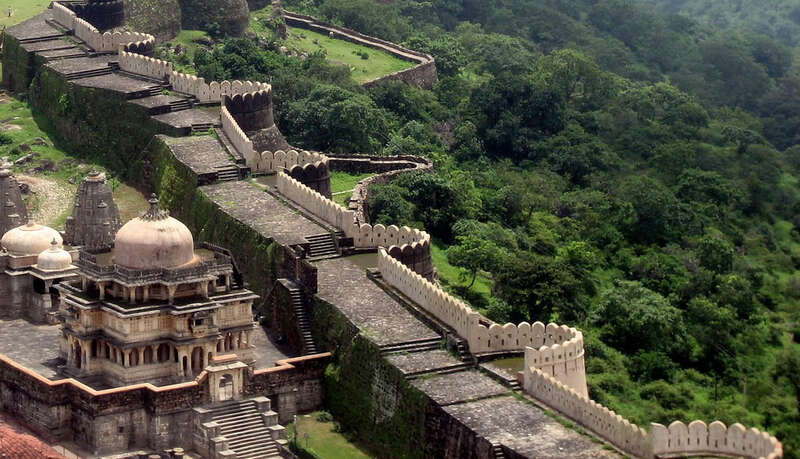 The Kumbalgarh Fort, is 51 miles away from Udaipur City, which is equipped with a domestic airport connected by daily flights to Mumbai, Delhi, and Ahmedabad. A drive to the fort will take two hours from the city. The fort is open to visitors on all days of the week and foreigners are charged an entry fee of ₨ 100 ($1.60). The Badal Palace has been converted into a museum. 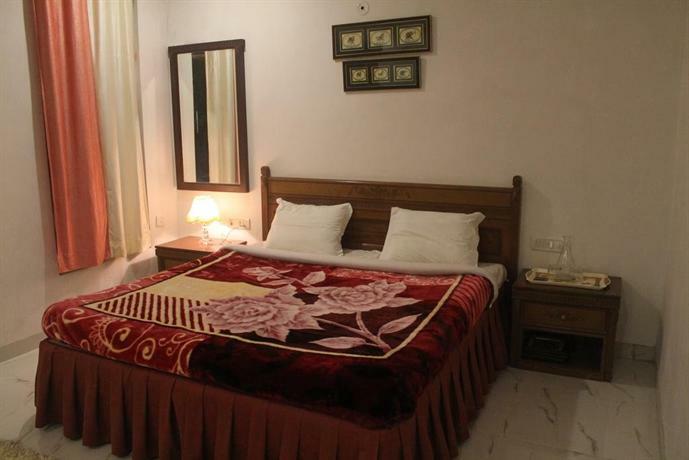 Other places that are worth visiting in Kumbalgarh are Haldighati, where the Maharana Pratap's Memorial is built, Kumbalgarh Wildlife Sanctuary, and the Muchachal Mahavir Temple, a Jain Temple. Around the city are several places of interest to a tourist. Several lakes, one within the compounds of City Palace, and Jain and Hindu temples and museums all make a visit to Udaipur and Kumbalgarh a cultural adventure.